Heir Island or Hare Island, sometimes called Inishodriscol (Irish: Inis Uí Drisceoil, meaning “Ó Driscol’s island”) lies in the southwest of County Cork. 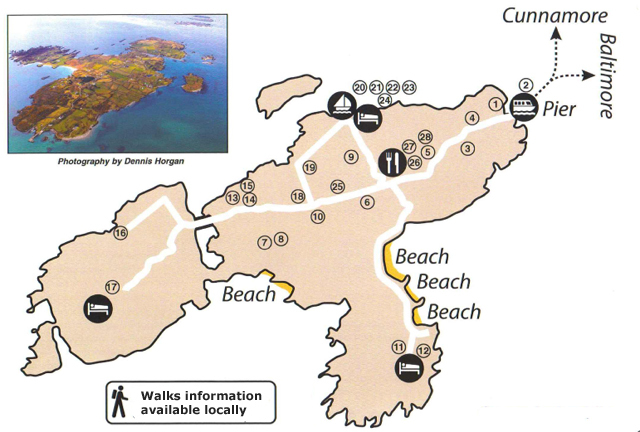 The island is 2.5 km long and 1.5 km wide, and is the fourth largest of Carbery’s Hundred Isles. Over 200 species of wildflower grow on Heir Island and it has many beaches, as well as cliffs on the most south-westerly point known as The Dún. It is truly a magical place. Download the map in PDF format. (Includes contact details and notes).